We will be very busy this May 2017 as we shall soon release our first (premium) ebook on Amazon Kindle. This is a great milestone as we’ll need to apply everything we’ve learned about business, marketing, and more. This article is a short list of just some of the things we’ll use. You might want to read this too as you might be able to use these lessons for YOUR product, business, or career. *Note: Most of these have been learned from awesome books like the ones below. 1. Create a minimum viable product (MVP). One of the most valuable milestones in business is in creating a minimum viable product or “MVP.” It should be a product that fulfills a real need, and it’s one you can actually sell for a profit. Kawasaki taught that it’s very easy to get good ideas, but it’s bringing them to life and making them profitable, however, that’s incredibly difficult. 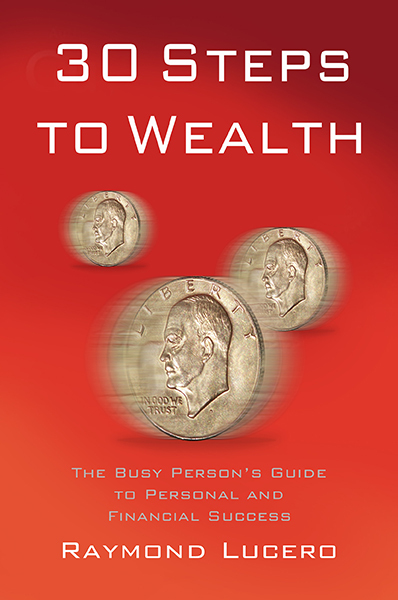 YourWealthyMind.com used to depend mostly on Google and Nuffnang ads as well as affiliate links for revenue, but now that we’ll release a personal finance and self-improvement ebook, we now have an MVP to sell. 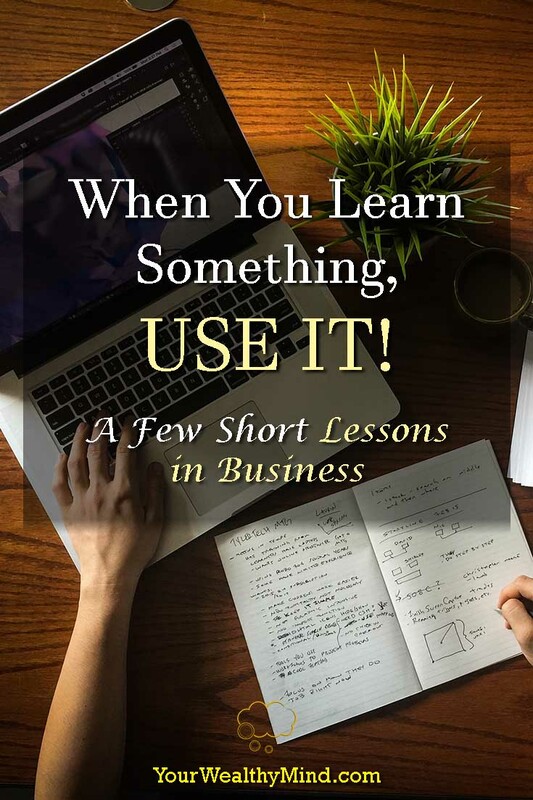 Compared to multiple fragmented articles and lessons, the ebook contains a COMPLETE course on the basics of success and personal finance. 2. Promote yourself and your business. The saying “if you build it, the customers will come” is incomplete. The full saying should be “if you build it, customers will come IF THEY KNOW ABOUT IT.” You can have the greatest product in the world, but if nobody knows about it, then nobody will buy it and nobody can use it to improve their lives. Just like a doctor who knows how to save lives setting up a clinic in the middle of the ocean where there are no patients, if you don’t sell then you help no one. If you have something great, use it to help as many people as possible! There are a few ways to market an ebook and we plan to use most of what we know here. One basic way is to use Amazon’s paid promotion services, another is by advertising it on Facebook using boosted posts, and yet another is by promoting it on relevant forums. There are also places like Ereader News Today, BookBub, and several others for promoting ebooks. When you want to promote your product, business, or service, you’ll find multiple opportunities to reach markets when you start searching for them. Be sure to read up on “growth hacking” too, which is a mindset of looking for unusual ways to reach people. 4. Seek help (or HIRE them). We are good at some things and bad at others. We also severely limit our capabilities if we try to do everything alone. While we can still try to do everything ourselves even if we’re doing badly, it’s often much better and faster to seek other people’s help. It’s better to hire experts than risk unnecessary failure. That’s the reason why businesspeople/owners and CEOs hire an entire company’s worth of employees. For most things you want to do, there are others who’ve done it and have already become great at it. Don’t be afraid to hire professionals as they may spell the difference between success or failure. That is, by the way, why we hired an editor and a cover designer to help with the book. One major fact of life is that most (if not ALL) successes and achievements need time. You won’t always be able to finish everything instantly. The book I’m about to release took me just about all of 2014 and 2015 before I finished writing and rewriting the first manuscript (and stopped to focus on blogging). Even then, when I hired the Ideas for Good team to review it last November 2016, it still contained a lot of mistakes and errors that needed correcting. I could have given up at some point—maybe on the second or third rewrite—but I decided not to. I had to keep going until it was finally completed and thankfully, it eventually was. The battle is not over yet though as I still need to release, market, AND maybe someday improve it with a better version—similar to what Guy Kawasaki did with The Art of the Start. Whatever happens, it will certainly be worth it. Toyota (and other Japanese companies) practice a concept called “kaizen” which means “constant and never ending improvement”. In Ryan Holiday’s book, Growth Hacker Marketing, he quoted Sean Beausoleil saying “whatever your current state is, it can be better.” That’s one very important lesson that you should remember. Why? Well if businesses and society didn’t improve, we’d likely still use dial-up internet, horse-drawn carriages, and other “old” stuff. We’d likely still live in the stone age. Progress is important for each of us as we all contribute something to the world. In our case, we’ll continue improving YourWealthyMind.com both in content and in your experience browsing here. We always teach that you can achieve nearly anything you want in life IF YOU LEARN HOW. Increase your (useful) knowledge and you’ll increase the number of things you can do. The more you’re able to do, the more opportunities you’ll find and use. Make it a point to keep learning new things—things that can help you achieve more in life. That’s why we’ll study more about marketing, web design, business, etc., and we’ll also post what we learned here so YOU can make use of them! Can you think of any new skills and knowledge that you can use to improve your life, business, or career? Let us know in the comments and we might research it for you! Also, if you enjoyed this lesson, why don’t you share it on Facebook or Twitter using the share buttons on the side! UPDATE: Our book is now available on Amazon! Buy it here!